In this paper we present a new approach to admission control of new flows in communications networks. Initially, we introduce a traffic classification procedure based on a new construction approach of conservative multiplicative cascades, to ensure information security by blocking malicious attempts and creating priorities over well-intentioned traffic. The admission control process accepts or rejects then the request for a new call by evaluating the available bandwidth within a particular transmission interval for different pre-classified traffic types. 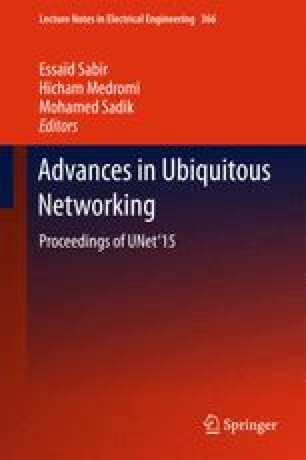 The experimental investigation by simulation showed that the proposed method is capable of ensuring the efficient use of available network resources and at the same time providing consistent QoS provisions and data security for network traffic flows.